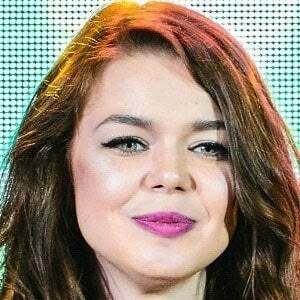 In the first fifteen years of her life, this Ukrainian pop vocalist released seven albums, including Bdzhilka (2002), Hochu Shalit (2006), and Melom Na Asfalte (2010). She recorded her debut album, Razom Zi Mnoyu, when she was only five years old. She reached the Ukrainian finals for a spot in the Junior Eurovision Song Contest. She spent her early years in Chernivtsi, Ukraine. She and fellow Ukrainian pop sensation Anastasiya Petryk both rose to fame during their childhood years.